TekTracking is on a mission to modernize the rail industry with the help of cutting-edge technology solutions. We offer products, services, and solutions as a complete package to take businesses to the next level of productivity and profitability. 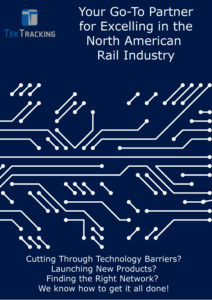 TekTracking is an Asset Management Technology Provider servicing passenger and freight rail operators throughout North America. Our products and solutions address asset management issues universally faced by railway operators. Through strategic relationships with “Best-in-Class” technology developers, TekTracking has assembled a comprehensive solution set to meaningfully reduce railroad operating costs. Approximately two-thirds of any one railroad’s operating budget will be spent on labor and equipment costs. To reduce operating costs, railroads are evaluating technologies focused on managing human assets and reducing scheduled maintenance cycles for physical assets. TekTracking provides solutions focused on reducing costs attributed to 2/3’s of a railroad’s operating budget. For freight railroads to be profitable and passengers railroads to remain efficient and on schedule there are two types of asset classes that must be effectively managed: human labor and equipment/infrastructure. TekTracking provides targeted solutions within each asset class. In terms of labor assets, we offer sophisticated Crew Management tools including rostering, hours of service, safety and efficiency applications. To address equipment and infrastructure assets, we provide an integrated array of sensors and processors designed to capture and analyze machine and equipment health. Explore more about our products and solutions. Mr. Fogarty has over 17 years of engineering, technical sales, and executive management experience in transportation markets. Prior to founding TekTracking, he was vice president of sales in Tyler Technologies, where he directed a nationwide team of sales associates and business partners to achieve 35% revenue growth in 2 years. He has also served as vice president of sales at RailComm. 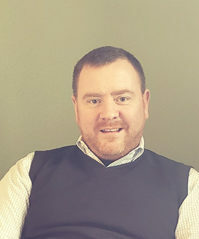 Greg Fogarty holds a HND/BS in Electrical & Electronic Engineering from Griffith College, Ireland, and an MBA from the University of Rochester, N.Y. USA. Mr. Denny has over thirty years of product development and business leadership experience focused on transportation and technology markets. He is the Founder and CEO of ipPrimeMover. 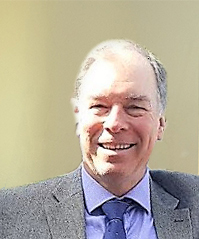 His previous ventures include being co-founder and CEO of RailComm, the Technical Director of Communications Based Train Control (CBTC) Systems at General Railway Signal (now Alstom) in Rochester, NY and a recognized member of the technical staff at Hughes Aircraft Company in Torrance, CA for 12 years.